New product from Lennox! 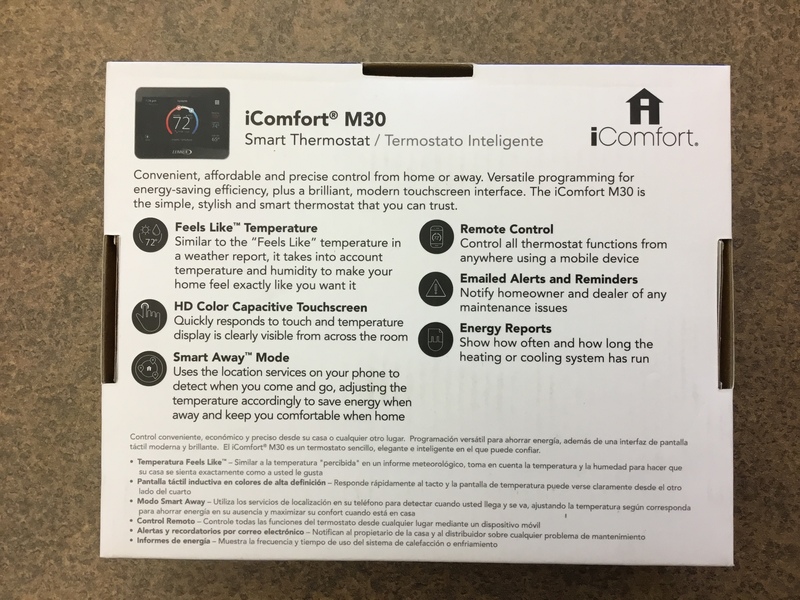 Introducing, the Lennox iComfort M30, or M30 for short! The M30 is a Wi-Fi capable, smart thermostat that can integrate with the smart home technology in your house. It can run a single-stage or multistage furnace or A/C, and can sense when you are leaving your house to turn the temperature down a few degrees. With this thermostat and a five-year warranty, you will never have to wonder about the comfort in your home. Feels Like Temperature - Similar to the "Feels Like" temperature in a weather report, the M30 takes into account temperature and humidity to make you home feel exactly like you want it. HD Color Capacitive Touchscreen - Quickly responds to touch and temperature display is clearly visible from across the room. Smart Away Mode - Uses the location services on your phone to detect when you come and go, adjusting the temperature accordingly to save energy when away and keep you comfortable when home. Remote Control - Control all thermostat functions from anywhere using a mobile device. Emailed Alerts and Reminders - Notify homeowner and dealer of any maintenance issues. Energy Reports - Show how often and how long the heating or cooling system has run. 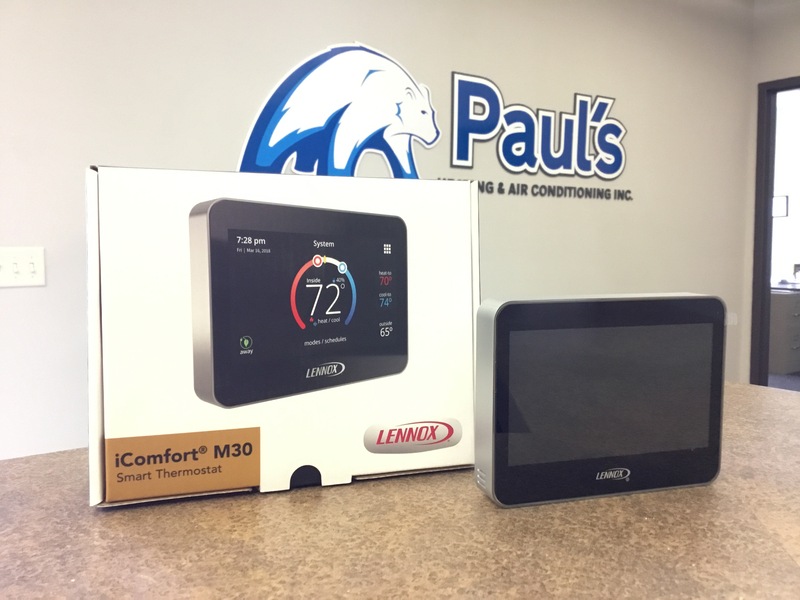 The peace of mind that Paul's Heating & Air Conditioning will be the ones to install, service, and answer questions about the M30 for the life of the product! Fill out our contact form here, or call us at 608-784-0751 to inquire further!